Welcome to the heart of North York, Fashion, Elegance and Luxury living come together at The Village Residences. An inspired collection of boutique condominiums at Bayview and Sheppard, across from Bayview Village and next door to Bayview subway station. 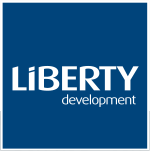 The Village Residences is a newest condo development by Liberty development, currently in preconstruction at 591 Sheppard Avenue East, North York. The development is scheduled for completion in 2018. Sales for available units start from $208,900. The development has a total of 203 units.